Back in 2010, I posted my top five travel destinations. I thought it might be interesting to revisit that and see what the list is now, six and a half years – and a lot of travelling – later. I don’t really think that requires much more of an introduction. One common thread through all of these is my desire to return to each and every one of these places. It’s too bad there are so many new places I should see first! It’s hard to pick just five of all the amazing places I’ve visited. And then to rank them? This is a very hard blog post to write… but here we go! Coming in at number five is Iceland, a destination that showed up on the original list. Of course it would remain on the list! Amazing scenery, so many activities to enjoy, a magical mythology, and long history. On top of all that – SCIENCE! Iceland straddles the North American and European plates and is a hotbed of geothermal activity. It was also my first real photography trip. I had my brand-spanking new DSLR and brought two lenses and a tripod. I practiced techniques such as long exposures, and tried (not quite successfully) to photograph a geyser to make an animated gif. I’ve got a few photos up on Flickr, and more will come soon as I work through uploading some more photos from my Archives. New Zealand is up next. In 2013, I spent a month travelling around Australia and New Zealand, splitting my time pretty much exactly in half between the two countries. Although I enjoyed Australia, Melbourne and Sydney in particular, it’s New Zealand that I dream of going back to one day. Wellington and Queenstown were wonderful towns. I loved exploring them and their surroundings, and there are so many more places in this small country that I would love to see for the first time. The people were amazing and the place was… so clean! It’s a strange thing to compliment a country about, but it jumped out at me. No litter to be seen, so anytime I dropped anything I couldn’t pick it back up fast enough! I have posted photos (possibly too many photos) from my trip up on Flickr. Morocco was the last place I visited on this list. I looked forward to this TGL trip – Morocco had always been on the list, or at least Casablanca was – but I never expected it to be a place I would want to return to. I was wrong. The people are amazing, the cities and landscape breathtaking. Our hosts – Open Doors Morocco – certainly contributed to my love of the country. I was to see everything again and see the rest of the country as well. I could do without a repeat of that camel ride, though. View photos from the trip. The battlefields and memorials of Normandy and Flanders, ranked second on the list. I don’t think anyone who knows me will be surprised that these areas show up on both lists. I’ve said that I believe everyone should visit these sites, although I realize that’s not practical. It is unique on this list. This was back in my film only, documentary stage. Unlike the other destinations on the list, it wasn’t the photographic opportunities, or the scenery, or any of the other ‘touristy’ reasons that puts the sites of Normandy and Flanders on this list. Learning the history of the places we visited, reflecting on that history, was important. Also unlike those other places, I get a second shot at this one. In just a few short weeks (eek!) I will return on a photographic tour of the region. There are a few photos from this previous trip in my ‘military‘ album. Stay tuned for photos and information from the trip in the coming months. Coming in at First Place is Istanbul, Turkey. 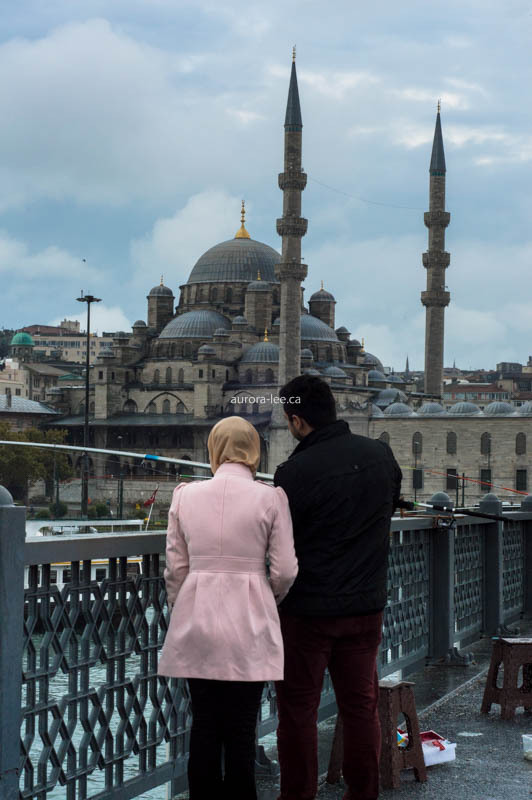 Although I enjoyed all of the country that I saw (Gallipoli, Cappadocia, and Istanbul), it’s Istanbul – Constantinople – that I fell in love with. I loved the architecture and culture and history. My photo tour leader had a second trip planned just a few months later and I would have signed up on the spot, but I couldn’t afford it. I’ll be back one day! It took a while to decide if this should surpass Normandy and Flanders for the number one spot. I think it was a combination of living near France and Belgium for so long, and how different Turkey is from anywhere I’d been before that put it in the top spot. My runner up in this list would be right here: Nova Scotia, Canada. To assist with future trips like these, I could use your support over on Patreon. Subscribe before the end of March and receive a postcard from my battlefield trip, as well as other gifts and content! What are your favourite destinations? Or what places are on your dream list?